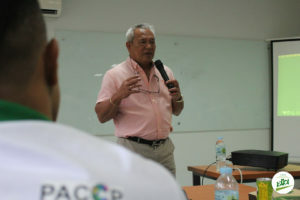 XSF-KKKK participates in Stakeholder's Summit for Children - Xavier Science Foundation, Inc. The Kaabag sa Kalambuan pinaagi sa Kabtangan sa Katilingban (KKKK Project) participated in the Stakeholders’ Summit for Children at the American Corner of Xavier University – Ateneo de Cagayan last July 18, 2018. The summit was a gathering of all stakeholders to converse the goal in creating programs that strengthens child protection in every district of Cagayan de Oro. During the event, CDO Mayor Oscar S Moreno also attended and delivered his keynote speech saying that all stakeholders made contributions toward prioritizing the children’s health in the city. With the effort of the KKKK Project who led the said initiative, Moreno encouraged everyone to continue their support and contribution in all the upcoming activities of the said program. 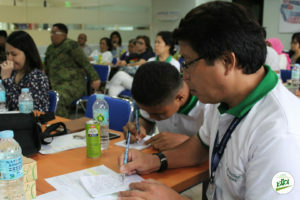 The summit was attended by various representatives from the local government unit, CSWD – Early Childhood Care and Development (ECCD), City Planning and Development Office (CPDO), City Health Office, Commission on Human Rights Region – X, CDO Police Office – Women and Children’s Protection Desk (COCPO – WCPD), Civil Military Operations (Kasaligan) Battalion, 4th Infantry Division, Philippine Army (4CMO Bn, 4ID, PA), Pilipinas Shell Petroleum Corporation (PSPC), Kaabag sa Kalambuan pinaagi sa Kabtangan sa Katilingban – Xavier Science Foundation (KKKK – XSF), Balay Canossa Foundation Inc, Presidential Commission for the Urban Poor (PCUP), Philippine Drug Enforcement Agency Region 10 (PDEA), Nestle Tablon, Junior Chamber International Kagayhaan Gold (JCI), Iprep Play & Learn, ECE Marketing, Fely’s Jewels and Pawnshop, and Centrio Mall. Moreover, the said event went through an open forum facilitated by our project manager Sheila de Lima on conceptualizing the various issues and concerns related to child care. It focuses on developing the initiative of each stakeholders to be more efficient in terms of issues, approaches and contributions that they can contribute to the Child Development Caravan project.